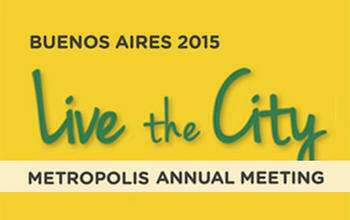 Live the City will be the first METROPOLIS Annual Meeting where on-the-ground experiences will be the focus and starting point for discussions about the major cities we want for the future. A large part of the program of Live the City will be reserved for real-life experiences in different parts of the Argentinean capital. With this proposal, the government of the City of Buenos Aires strives to share with the METROPOLIS invitees the initiatives implemented to increasingly bring Inclusion, Innovation and Sustainability to its citizens. All activities proposed for Live the City, both the experiences on the ground and the indoor sessions, will stress not only the various stages of public policies (planning, design, management and evaluation), but also will count on individual testimonials of the different stakeholders of urban projects. The thematic sessions will offer dynamic formats seeking engagement of every participant. By involving the experiences of different sectors of society and various cities around the world, Live the City aims to show that if the challenges are common, the solutions must be shared. Local authorities, and very particularly the metropolitan regions with the greatest demographic concentration which are represented in METROPOLIS, will have an historic opportunity in 2015 to lead a global process of transformation, guiding it in an innovative, inclusive and sustainable fashion, to improve the lives of their inhabitants.